 Fritz Gromotka was born on 2 June 1915 at Kronschkow in the Kempen region of Posen. In November 1940, Gromotka was posted to 6./JG 27. During the Balkans campaign he gained his first three victories over Greece, including two RAF Blenheim twin-engine bombers shot down on 13 April 1941. Unteroffizier Gromotka participated in the invasion of Russia. He recorded two further victories in this theatre, both Russian DB-3 twin-engine bombers shot down on 25 June 1941 near Wilna. However, while returning from this mission he ran out of fuel necessitating a forced-landing in Bf 109 E-8 (W.Nr. 4890) “Yellow 2” west of Minsk. He was initially posted missing in action but returned to his unit on 28 June. Gromotka relocated to North Africa with II./JG 27 in September 1941. He was shot down in aerial combat on 21 May 1942, but emerged unhurt from the subsequent crash-landing. By June 1942, he had claimed a further four victories. In July 1942, Gromotka undertook a spell of instructing at Jagdfliegerschule 4. In December 1942, he was transferred to 9./JG 27 based in the Mediterranean theatre. Between September and December 1943, Gromotka claimed nine victories including three RAF Spitfire fighters shot down on 27 September for his ninth through 11th victories. He recorded his first four-engine bomber victory on 5 October, when he shot down a USAAF B-24 near Eratini. In March 1944, III./JG 27 finally departed the Mediterranean for Reichsverteidigung duties and deployment to the Invasion front. 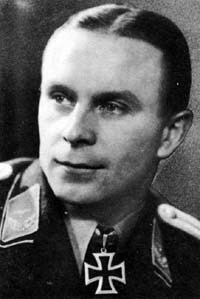 Gromotka received promotion to the rank of Leutnant and was awarded the Ritterkreuz on 28 January 1945 for 29 victories. On 1 February 1945, Gromotka was appointed Staffelkapitän of 9./JG 27, a position he held until the end of the war. During his combat career, Gromotka had had to bale out five times. Gromotka died on 2 November 1979 at Remscheid. Fritz Gromotka was credited with 29 victories in 438 missions. He recorded two victories over the Eastern front. Included in the 27 victories recorded over the Western front are 9 four-engine bombers.